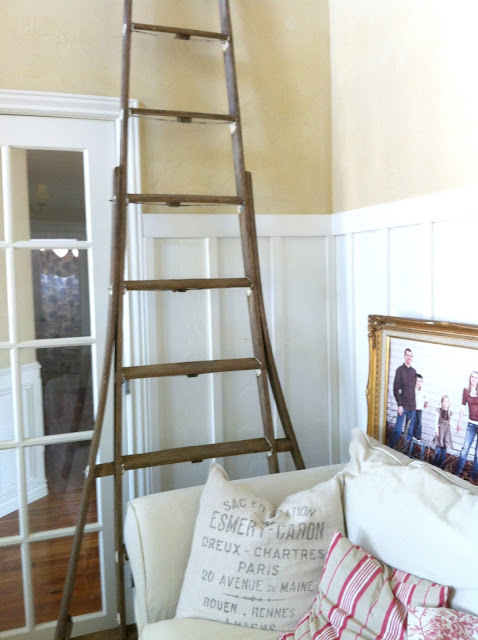 I recently found this big old orchard ladder that barely fit in my van. I should have taken a picture of that. I had it wedged all the way up on the dashboard, touching the front windshield. And it was just a tad bit too long to shut the back door down so I had to tie it down with some ribbon I luckily found while rummaging through my car. It was even a foot or two longer than this, I just cut it down a little. My favorite part is the base which is so wide, it was hard to find a spot for it in my house. 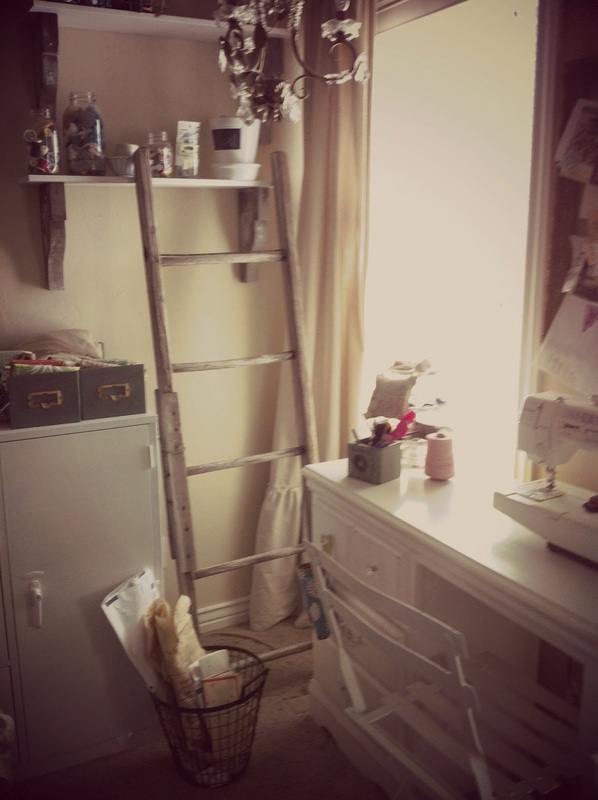 Ladder #2 has found a spot in my sewing nook. Ladder #3 was actually my 1st ladder I ever found. I was so excited to find an oldie like this, and even more excited to see a "free" sign taped to the front. It has become the backdrop for my first and only reupholstery job on this grain sack chair. 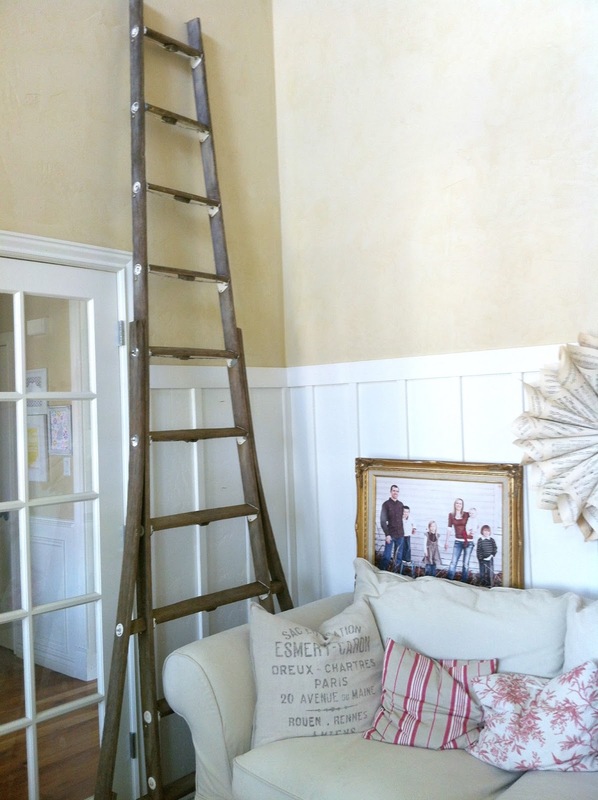 I think, for now, I will stop at 3 ladders.